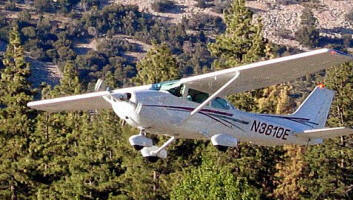 Orange County Flyers, Inc. was founded in 1959, making it one of the oldest flying clubs in Orange County, California. The Orange County Flyers club provides local private pilots with affordable access to small, general aviation planes at John Wayne Airport (SNA). The original members formed the flying club to encourage interest in aviation; to promote safe and economical flying for its members, and to encourage and assist its members to advance in the field of aviation. The flying club currently has 18 members who are looking to expand the membership and better utilize their club Cessna 172N, which is parked in covered tiedown spot #246 on the west side of John Wayne Airport (SNA), Orange County, California and meticulously maintained by California Aero Marketing. The AOPA listed flying club meets on the 2nd Thursday of each month at the Atlantic Jet Center on the East side of John Wayne Airport. Are you thinking about joining a flying club to increase your hours, learn to fly, or add an instrument rating? If you enjoy meeting other pilots to discuss general aviation, want a flying club that encourages you to fly, includes two active CFI's, and has the best rates of any flying club in California, then don't delay. Join today. Are you thinking about joining a flying club, learning to fly, or adding an instrument rating? Our current members include two CFII's. This handbook has been published in order that all members of Orange County Flyers may have a complete understanding of the organizational and operational details of the Corporation which are not found in the Bylaws. The underlying purpose of having such a document is to promote safe flying and responsible operation of the Corporate aircraft at all times. The procedures, methods, and rules contained in this handbook were established after detailed coordination meetings with the Federal Aviation Administration representative, the Corporation's insurance broker, and many discussions by the Board of Directors. It is our sincere hope that the information contained in this handbook will be of value to the members. If any question arise concerning the material in this handbook, or any interpretation thereof, the Board of Directors is always available to assist the membership in every way. © 2014 Orange County Flyers, Inc. All rights reserved.